Companion Press is the publishing imprint of the Center for Loss and Life Transition, which is dedicated to “companioning” grieving people as they mourn transitions and losses that transform their lives. We help both mourners, by walking with them in their unique life journeys, and caregivers, by serving as an educational resource and professional forum. 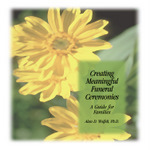 Our publications for mourners and bereavement caregivers are current, readable and compassionate. We offer books, audiobooks, videos and more. 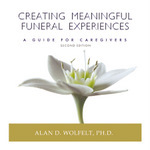 The director of the Center for Loss and our featured author, Alan D. Wolfelt, Ph.D., is one of North America’s most respected grief educators.